BBL Broad Band Light is a light-based procedure that treats brown spots and freckles, redness, uneven skin tone and acne. BBL is Broad Band Light. Light therapies are similar to laser treatments, but are delivered as a wide flash of light rather than a concentrated laser beam. This allows the light energy to spread out across the surface area of the skin, and can be gentler and more efficient when treating the full face or other body areas. The light is emitted by the handpiece at a specific wavelength that targets facial redness, brown spots and freckles, or acne. Multiple concerns can be addressed in one session. BBL is similar to IPL, or Intense Pulsed Light. 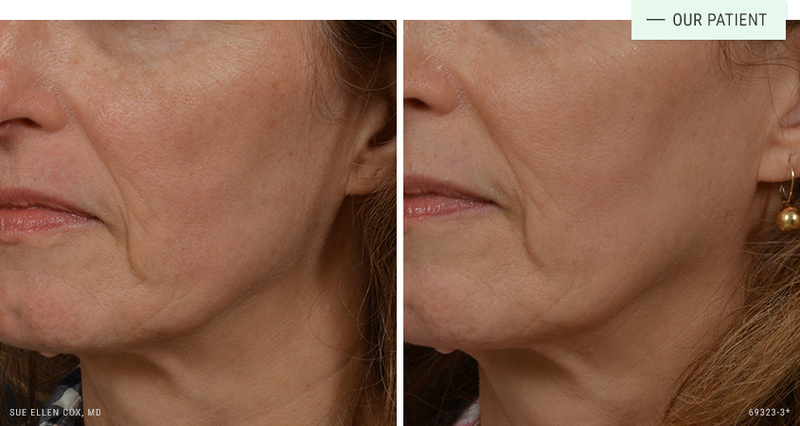 Before | After: One BBL treatment to decrease redness and pigmentation. 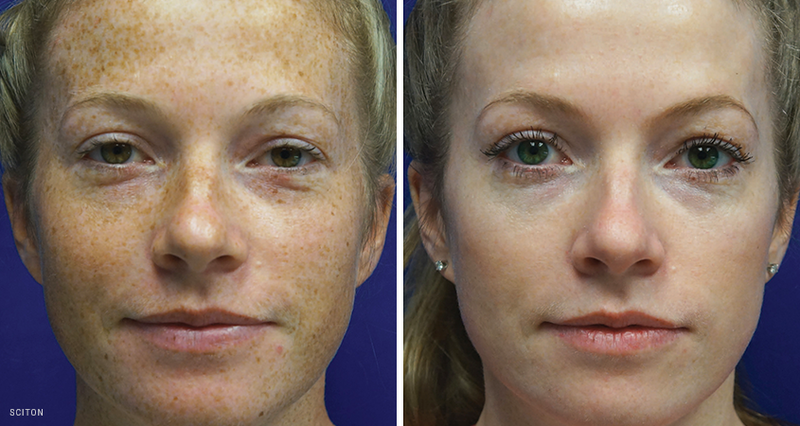 Before | After: This patient received one BBL session to effectively clear her skin of freckles. 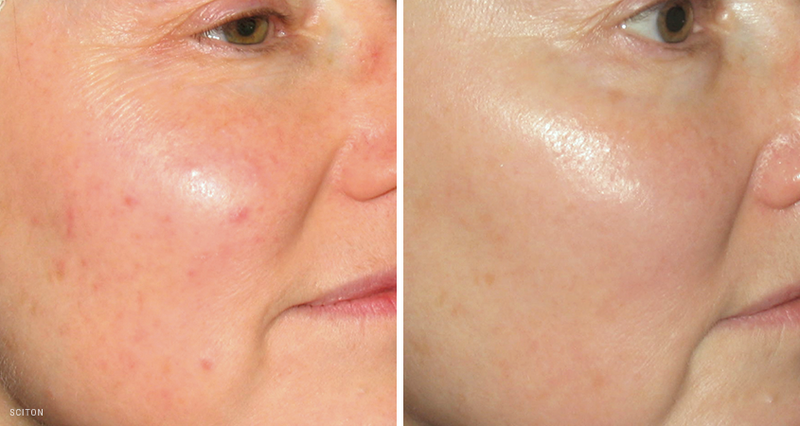 Before | After: A series of three BBL treatments was used to treat this patient’s blemishes and redness. The FDA has cleared BBL treatment to safely treat a number of issues related to skin tone and quality. It has an excellent safety profile. Like any surgical or non-surgical procedure, there are risks. It is very important that you do not have a significant suntan when BBL treatment is performed. Dr. Cox stresses the importance of finding an experienced provider directly supervised by an on-site physician who understands the finer points of laser treatment. BBL is well tolerated. The procedure typically lasts 15-45 minutes. Patients report a sensation of heat, accompanied by bright light, but do not typically describe the experience as painful. There is no real downtime associated with BBL treatment. Pinkness and mild swelling of the treated areas is possible. This typically improves significantly within hours of treatment, but may persist for up to 24 hours. Brown spots may appear darker for up to a week before fading to reveal a brighter, more even skin tone. It is possible to apply makeup immediately after treatment. BBL treatment is often focused on the face, but may be used on other areas of the body, including sensitive areas like the hands, neck and chest. It is possible to treat multiple areas of the skin in a single session, and can be performed the same day as most other procedures. BBL can produce a significant reduction in the appearance of red areas and blood vessels, as well as brown areas including age spots, sun spots and freckles. The result is a more even overall skin tone. It can also be used to treat active acne by targeting bacteria associated with acne, reducing inflammation and minimizing sebaceous oil production. It can also reduce unwanted hair. A series of treatments produces the best results.